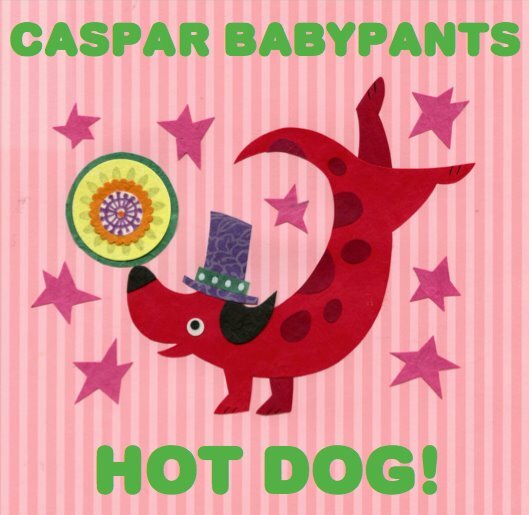 I’m sure Chris will be busy with all the Caspar Babypants press stuff on the following weeks, as the Caspar Babypants album “Hot Dog!” will be out on April 17th, 2012. Advanced copies are available on Caspar Babypants concerts starting from March 3. Also on the Presidents of the USA shows! I’ve got my early copy of the Hot Dog! album, and my review of the album will be out hopefully before this weekend. Chris will be busy with The Presidents of the USA too. PUSA will be touring the Europe starting from March 8, 2012. Check out the PUSA 2012 tour dates for more info. All the questions are related to Caspar Babypants. 1. There are many different music styles mixed in with Caspar Babypants records, and I think it’s a great choice. It keeps the albums fresh for a long time, and parents sanity on a right level, if you know what I mean? 🙂 Was this an intentional choice to have many music styles mixed in? OH yes! I do it for the poor parents that have to listen to the records over and over and I do it for myself because I can’t imagine only doing one style of music. I don’t know how people do that!! 2. You mentioned that the “Summer Baby” (track 4 from Hot Dog! album) had the “Black Keys” feeling to it when you wrote it. 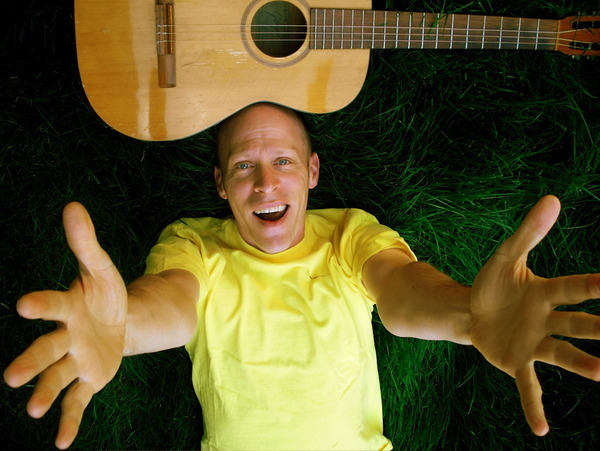 With Caspar Babypants you are going with more “bluesy” sound on other songs too. Where does your blues roots come from? Well I just go to what the song needs on a song by song basis really. I am a total slave to the song and whatever makes it work I will try. My blues feel comes from super old recordings by the archivists Harry Smith and Alan Lomax mostly. They both captured the early forms of american music as it folded the African influence in to early blues. I go back to the source. the older the better! 3. I’m guessing that the “Less is more” is a some sort of guideline when recording Caspar Babypants songs, or am I wrong? YES! you are correct. I like to try to use the bare minimum with music so that the SONG is clear and the story is right up front so that a small child does not have to wade through too much musical complexity to get tot he heart of the tune. 4. All the Caspar Babypants and the Feelings Hijackers albums are pure ear candy. Do you mix your recordings with headphones (or headphones in mind)? and what is your listening setup at home? I love love love stereo!! It is fun to give instruments their own space in a mix. I am not shy about hard panning things and making the sonic field interesting from part to part of a song. Thanks for noticing! 5. Caspar Babypants albums are coming out every 9 months. And they all sound great. You must have found your gear and the right settings to work so quickly? and what is the secret of that vocal sound? I have found the right settings! I like that. I would like to pop one out every nine months like a BABY! My vocal sound is just me sounding like a cross between Ernie and Kermit the Frog from Seseme Street!! It was just the voice I got at birth. Also I use a simple RODE NT2 mic and a simple channel strip and that is it. 6. You must carry a portable recorder when you write down song ideas? Any recommendations? I use my phone. I just downloaded an app that is a note taker. sounds good but it is just for notes. Nothing fancy at all. I also use a little micro cassette thing. it sounds DIRTY! I was going to do a few themed records then I abandoned that idea. In the end I think mixing it up throughout the course of a record is better for the listener. The only reason I was going to do themed records is because they are easier to promote. Then I realized that that was a BAD reason to arrange a record that way. so I just scatter the themes around. 8. Any news about Caspar Babypants songs to be translated/recorded on a different language? 9. There are now over 100 Caspar Babypants songs. Do you ever get the writer’s block? 10. Every Caspar album got different guest musicians. Who’d you like to have on your future recordings? Ringo Starr. I have tried and got in touch with his photographer but hit a dead end. I guess Paul McCartney would do too! I have a secret scheme to have a TON of guests on the next album but it is SECRET right now. 11. Many parents are hoping for a Caspar Babypants video collection (DVD). Any plans for this? YES! but like most of my plans I need TIME. Hold on loosely and I will get it together soon(ish) I hope!! Click here for other ways to help with the site. Chris is an awesome musician! I should really grab these caspar albums! I don’t have the link with me (not sure I even saved it – maybe PUSABASE posted it) but it was a very recent interview with Andrew. I don’t remember the exact wording but he made it sound like he hoped to be in the recording studio soon. So unless he was talking about some other project maybe they PUSA CD stance has changed? ?